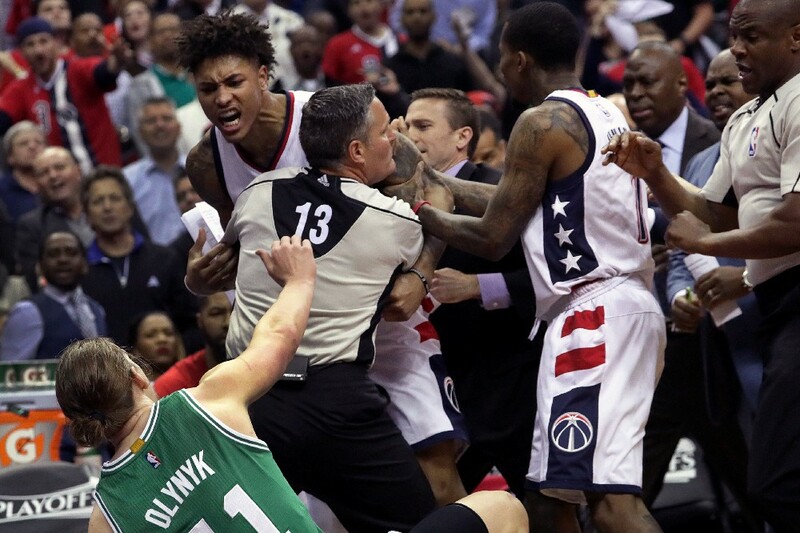 The NBA is suspending Washington's Kelly Oubre for Game 4 vs. Boston for altercation with Kelly Olynyk, league sources tell @TheVertical. Worth pointing out, Oubre is dead last in the series in +\- rating. Oubre, known for his size and defensive prowess, isn't the biggest threat on the offensive end and the Celtics have been able to hide Isaiah Thomas on the defensive end for most of this series by putting him on Oubre when he's on the floor. Obviously coach Brad Stevens will have to find another way to mask IT's defensive liability for stretches tomorrow against a potent Washington offense with no Oubre in the lineup as we saw him struggle mightily against Otto Porter in game 3. Related - Bradley Beal: half man, half fish? Or accomplished flopper?